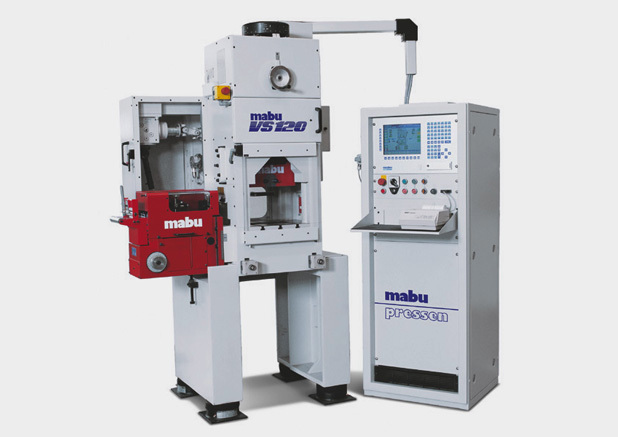 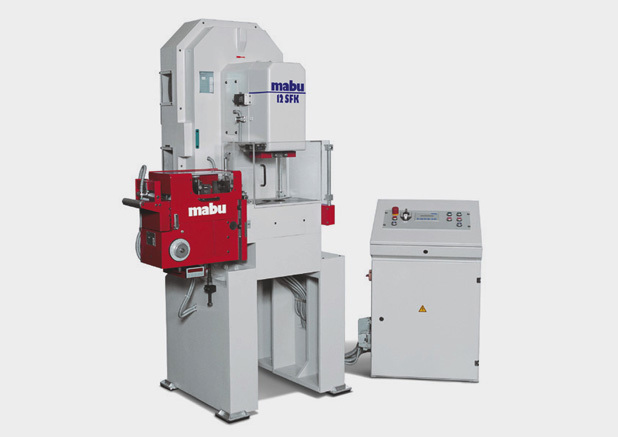 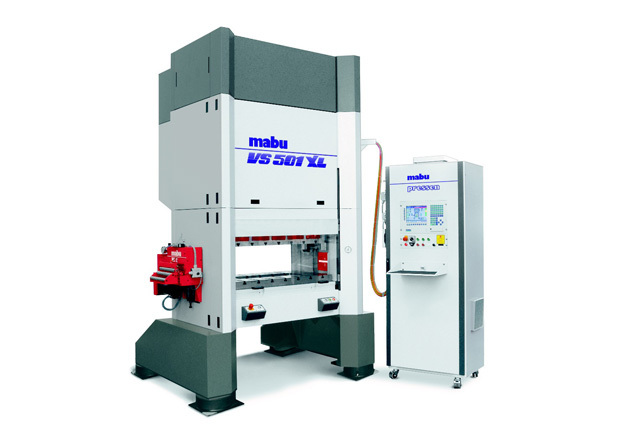 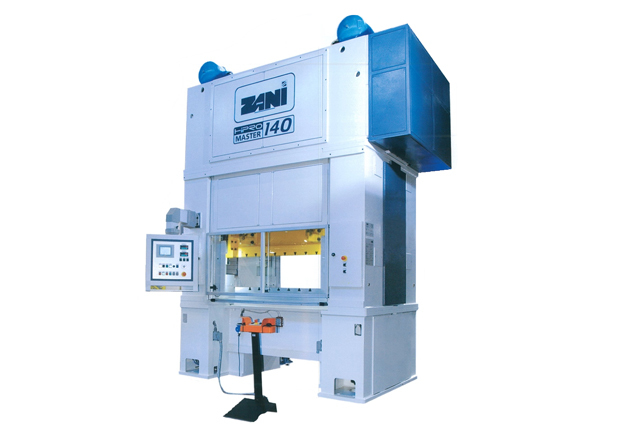 Mabu CNC high speed presses from 120kN till 1000kN with patented drive system. 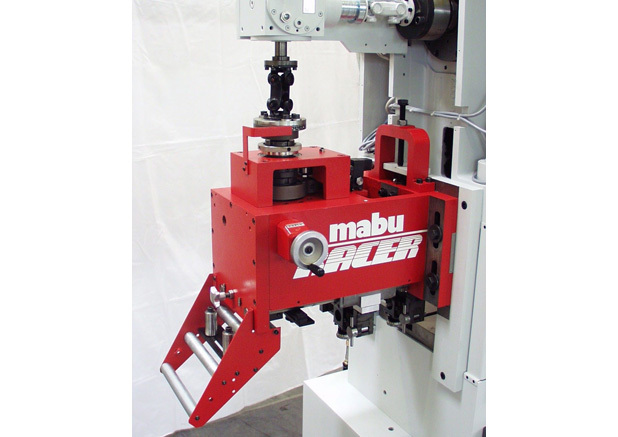 The machine consists of a double knuckle-joint drive system with a continuously variable stroke and a nearly constant BDC point. 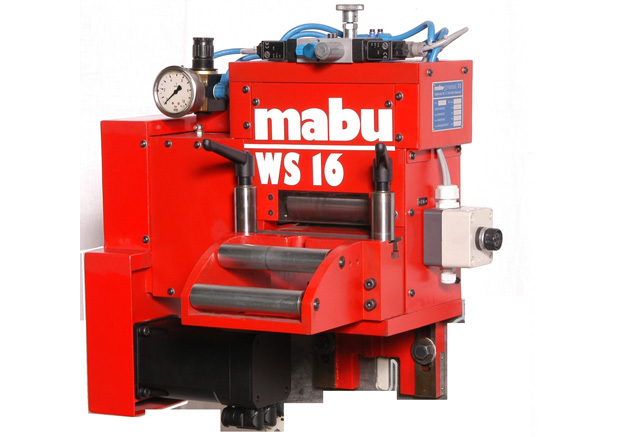 Eccentric shaft in roll bearings and a RAM with backlash-free 16-fold pre-tensioned linear roller-guides, ensures a very high precision. 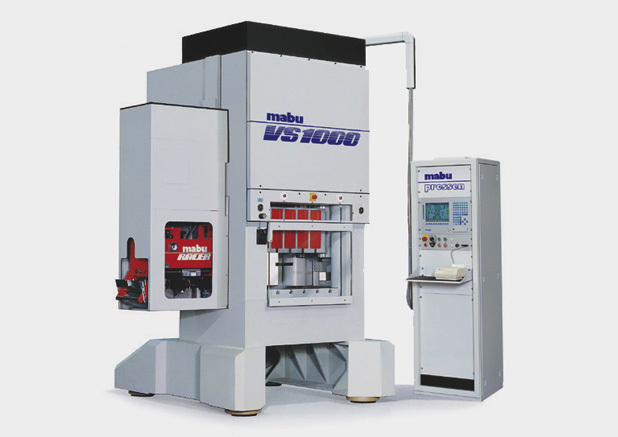 The speed can vary from 80 till 1500 strokes a minute. 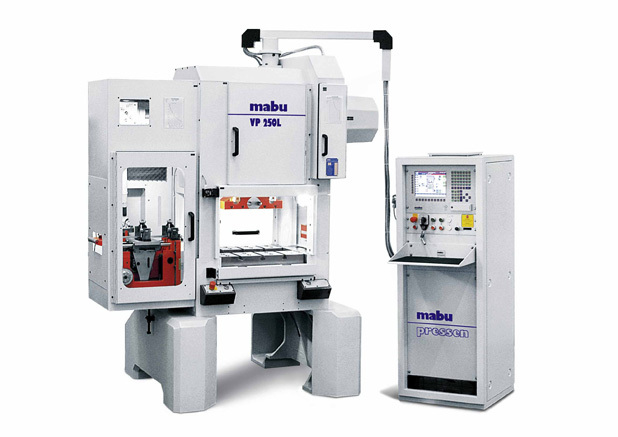 Several user friendly controls are available such as ultramodern Industrial PC controls with graphic visualisation of the machine.